Help Wanted for the Perfect Summer Job! I found this wonderful article written by Terry Sudduth Duncan. She wrote this post so well that I just had to share it with you all. Imagine an ad that reads like this: Wanted – someone who wants to make their own hours, determine their own income, and work around their family and other activities while working with great people and having fun helping them to create their own handmade cards and scrapbooks (and sometimes while enjoying snacks!). This candidate will receive all the free training and support that they need, including lots of creative inspiration. No experience necessary. All applicants will be accepted. Stampin’ Up! offers a low-cost Starter Kit that is an amazing value. The price is $99, but you select $125 of products of your choice to fill your kit! It also includes all the business supplies that you need to get started. You will get all kinds of training and support. Stampin’ Up! offers all kinds of training and support to help you build a successful and profitable business. You will receive a monthly Stampin’ Success magazine (full of articles, projects, and business tips), you will have access to online product video trainings as well as thousands of card, scrapbook, and project samples, and you will also have your upline (me) for additional training and support. There is no obligation. If you purchase the Starter Kit and decide not to hold a single workshop – that’s okay! The products and supplies are yours to keep and enjoy. Are you ready for this new job??? Why Become a Stampin’Up! Demonstrator? • Never buy another stamp at full price again! • Watch your stamp collection GROW with FREE stamps you can earn through year-round promotions! • At tax time, your stamps take on a whole new meaning… a business expense! • Receive monthly magazine “Stampin’ Success” packed full of stamping and business tips and ideas direct from Stampin’Up! • Join other crazy Stampers at the Stampin’ Up! Convention to share ideas, learn new techniques and have a blast! • Create new friendships with your hostesses, customers and other demonstrators! • Earn an all expense paid cruise for you and a guest! • MAKE MONEY DOING WHAT YOU LOVE…STAMPING! Share this posts with others today! Press here to get more information. FREE 30-Day Trial Of My Digital Studio Express! I am excited to announce a special promotion being offered by Stampin' Up! - a FREE 30-day trial of My Digital Studio Express. This state-of-the-art paper-crafting software can be used to make greeting cards, scrapbook pages, memory books, and more. Following are some Q and A's about this fabulous promotion. A: My Digital Studio Express comes with the same functionality as My Digital Studio, but with less digital content. Included with MDS Express is one stamp brush set, 12 Designer Series Paper patterns, 81 embellishments, 26 punches, and 5 designer templates. Q: How do you order the My Digital Studio Express Trial? A: You can order the MDS Express Trial through my online store by using item #129600. You can order the free trial by itself, or you can add it to an order with stamping supplies or digital downloads. If the MDS Express Trial is the only item you order, you will not be asked for any credit card or payment information. If you are a new online customer, you will need to set up an account. Q: How do you install the My Digital Studio Express Trial software after you have ordered it? A:You can access your MDS Express Trial download through the Downloads section of your account. Be sure to select Mac or Windows, and the download & install wizards will walk you through the rest of the process. A: Yes. You will have full access to everything you can do in My Digital Studio for a full 30 days. This includes full designing functionality, printing, and the ability to order downloads (new downloads are available every Tuesday). Q: Will the trial last 30 days even if you order it in the middle or end of the month? A: You can order the MDS Trial at any time. The trial period is not tied to the calendar. The trial period will begin as soon as you launch the program, and you will be able to use it for the next 30 days. Q: What happens after the 30-day trial period is over? A: When you launch the software after the 30-day trial is over, you will be prompted to enter a product key. You will not be able to use the software again until you have entered a product key. You can get a product key by purchasing My Digital Studio or My Digital Studio Express. The product key prompt will include a link to the software page of MyDigitalStudio.net, which will tell you where to order the software. Click here and be taken to my online store. To purchase MDS after the trial period is over, go to my online store and use product code 118108 for MDS, or, product code 124483 for MDS Express. If you purchase the disc version of MDS, you will need to use the installation disc in order to access the included digital content. You will have continued access to any downloads you purchase during the trial period. If you choose to purchase the software, you will simply need to enter a product key to be able to use all your downloads like normal. If you do not purchase the software, you will still have access to your downloads through your download manager, and you will be able to load them to the digital design software of your choice. If you don't want to purchase the software at the end of the trial period you can uninstall the software at any time. Stampin' Up! has several videos and resources available for you on the Training Section of MyDigitalStudio.net. I have found this resource extremely helpful when I have questions about the functionality of the software. I am so excited that Stampin' Up! is offering you the change to try this fabulous digital paper-crafting software for FREE. I hope you decide to take advantage of this offer. 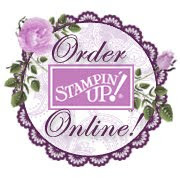 If you have any questions, please contact me at ktstamps@gmail.com or Stampin' Up! at 1-800-STAMP UP. What a great fold to gives your cards a different look. The Nip and Tuck comes from; you cut (“nip”) and then you fold (“tuck”). Down load the PDF here. Step 1a: Start with a Very Vanilla card base measuring 5 ½” x 8 ½”, fold in half. Step 1b: Measure 1 3/8” in from the folded side and make a mark. Step 1c: Measure 5/8” from the top and make a mark. Step 1d: Measure 3” from the top of the card and make a line. Step 1e: Measure in 3” from the right side of the card and make a mark at 5/8”. Step 2a: Take a ruler and make a diagonal line from the top 5/8” and the right side 5/8”. Step 2b: Lay your opened card on the Simply Score Diagonal Plate and from the 5/8” mark score up and off the card. Step 2c: Place the right side of your opened card to the left of the Simply Score Diagonal Plate. Score from 5/8” up and off the end of the card. Step 3a: Put the trimmer at the 3” mark and cut to 5/8″mark. Step 3b: The cut will look like this. Again don’t cut past the 5/8”. Step 3c: Do the same on the other side. Step 4b: Fold the triangle over and crease with a bone folder. Step 5a: The fold will look like this. Step 5b: Take a mini glue dot to secure the flap. Step 5c: Put the card front in the Perfect Polka Dots TIEF and run it through the Big Shot. Step 9: Take your 2 way glue and glitter the inside of the flower. To order any of the products listed in this tutorial please click here visit my online store. Classes - sign up now! Class Description: This will be a product class. You will receive the Papillon Potpourri Stamp set and the Elegant Butterfly Punch. This class will have 4 butterfly cards and a holder. More information will be out later. You guys, this is a FABULOUS deal...I will have the stamps and punches waiting for you at my house. When you arrive, you will put together your stamps and start to stamp. I will provide treats for you! Fee: Clear stamps and Punch - $40 and Wood Stamps and Punch $45. This is a great $5! I just can stop saying that! It is wonderful! So I have another Reason to smile below...enjoy! Accessories: Holiday Frame TIEF -coming August 1st, Rhinestone Basic Jewels, Extra Large Oval Punch, 3/8' Stitched Satin Ribbon in Gumball Green, Midnight Muse, Raspberry Ripple, Glue dots, Dimensionals, and Vanilla Shimmer Smooch Spritz. If you place your $50 order through me and you purchase the Reason to Smile stamp set...I'd like to invite you to a FREE card class where you will make FOUR cards using YOUR Reason to Smile stamp set. You'll need to bring your Reason to Smile stamp set, along with your Crafter's Kit. The class will be offered Saturday, August 4th from 2pm until 4pm. You will need to let me know by Saturday, July 28th, if you will be attending so I'll have enough cards for you! I love, I mean I love this Reason to Smile stamp. It is so versatile and beautiful. This stamp set is EXCLUSIVELY available during July. Better yet, the complete Reason to Smile stamp set is just $5 with a $50 product order. It is sooo sweet and the flowers are beautiful. I just love this set. In the next few day, I will be showing you lots of different cards I made with this stamp set. This is the first time I have ever had Stampin' Up! offer us a stamp for $5. REASON TO SMILE. During the entire month of July, you have the opportunity to purchase an exclusive stamp set, available ONLY through this special offer! Get the Reason to Smile Set (up to a $20.95 value) for just $5 when you spend $50 on any Stampin' Up! products. A two step stamping set, the Reason to Smile stamp set contains the outlines of flowers, flower centers and stems and then the “fill” images in a second color. I just colored the original stem and flower using markers… snipped them out and then popped them onto the card stock using stampin’ dimensionals. Cards are this easy to make! Here is one of the cards I made this with stamps set. Please place your order with me to get the $5 stamp set and the free class. If you are outside the Seattle area, I will send you a PDF of the class. It is nice when you can just go to YouTube and find what you are looking for in video form. I love learning new information and techniques. At times when I read the written directions, I forget a step or two. When watching a video, you forget nothing! Video leaves a wonderful picture in your minds eye and you feel like you could create anything. This video is about how to make a CUTE, I mean CUTE card box using Adorning Accents Edgelits Die. If you don't have these accessories yet, you are really missing out. The adorning accents edgelit die makes such a wonderful edge to your project or they can add a design using them on your card. Carrie from Stampin' Up! has done a beautiful job teaching you about the edgelit plus teaching you how to make this wonderful box. Please join her by getting out your Simply Score, Big Shot, and Edgelits. You will want to Join Carrie in making this project. Please leave me a comment on what you thought or click here to see one of the first video Carrie does the the Edgelits and Framelits. This are "MUST HAVE" stamping supplies. Remember you can click on my signature to place on-line order. Each month in addition to the great 3D projects that they have for us, they also host a monthly card challenge – Creating Pretty Cards!! I wanted to participate in a challenge I and chose Craft Project Central. Here is the sketch of the challenge. This is also a sneak peak of the NEW Products coming out August 1st in our Holiday Catalog. Here is what I did to create this card! I used Real Red, Very Vanilla, Early Espresso, and Lucky Limeade as my card stock. I ran the long Apothecary Accents Framelit through my Big Shot cutting out the template in Early Espresso Card stock. From the Holiday Catalog, I used the Holiday Ornaments Framelit Dies and ran them through the Big Shot. I cut out 3 ornaments from Candlelight Christmas Specialty DSP. I took out my Simply Score and scored each ornament down the middle or in half. Taking my Tombo glue, I glued 3 ornaments together. I snailed the Apothecary Accents Framelit to the Right side of the Real Red card stock. Using my new 6 1/2" x 9 1/2" Piercing mat; taking out my new piercing tool and the Festive Paper-Piercing pack and pierced around my Apothecary Accents Framelit on the Real Red card stock. It was so easy to follow the pattern. Stampin' Up has done a great job of adding new ways to create awesome cards. Taking about 6" of Very Vanilla 1/8" Taffeta Ribbon, I tied a knot at one end...leaving a little room for something to dangle off the end and tucked the other end behind the Real Red card stock. I used Glue dots to hold it down. Then I took 2 Basic Glimmer Silver Brads and cut off the ends. I used Crystal Effects to glue the 2 brads together at the end of the ribbon. I took a small piece of ribbon and glue dotted it around the top of the ornament. (Really this was suppose to add ribbon or Baker's Twine towards the bottom but it fit better at the top.) I added a bow on top of the ribbon and ornament. I put the card together and added the saying from Joyous Celebrations in Early Espresso ink. Taking my Tombo glue, I glued the ornament to the card. The card needed a little something, so I mixed some Champagne Mist Shimmer Paint with alcohol in one of our Stampin' Spritzers and sprayed the card. Hope you enjoyed my card. Please free to leave a comment or click here to place an order. Have you ever made a card, and in the end found that it was just too plain- too simple? That it was lacking and needed.....something? Well here are a couple of ideas to help you "jazz up" those cards that just "need something". 1. Grab your white gel pen and put on some faux stitching- yes- draw on faux stitching- instant pizzazz! 2. To take it up another notch and get a 3D effect, grab your Essentials Piercing Templates and paper piercing tool, and pierce a design ( or make perfectly straight lines) and then use the white gel pen ( or black marker) to connect the dots! Faux Silk Technique is a quick and easy rubber stamping technique that brings another element of artistry to your handmade cards along with touchable texture. Check out this video tutorial from the Stampin' Up! Home Office to learn how YOU can use the Faux Silk Technique for your upcoming projects. 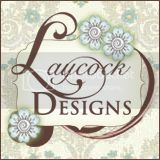 To purchase the best paper crafting products on the market for your projects, click to my online store button. Or call or email me at with any questions at all. I would love to hear from you! Enjoy the day! Drive Safely! From July 1st through the 31st you have the opportunity to purchase an exclusive stamp set, available ONLY through this special offer! The Reason to Smile Set is EXCLUSIVE to this promotion and will NOT be available after July 31, 2012 so be sure to snap yours up fast! Get the Reason to Smile stamp set – up to a $20.95 value - for just $5 when you spend $50 on ANY Stampin’ Up! products! This is a 2-step stamp set…not sure what that means? It means that you have the stamps to stamp a back image and then another perfectly sized stamp to stamp a front image on the top making it fun and easy to create beautiful cards and I will be showing you how to do this later this week along with a free printable tutorial. CLICK HERE TO PLACE YOUR ORDER TO GET YOUR REASON TO SMILE FOR JUST $5! I am so excited to get my Reason to Smile stamp on Monday! I am ready to play and have some fun!